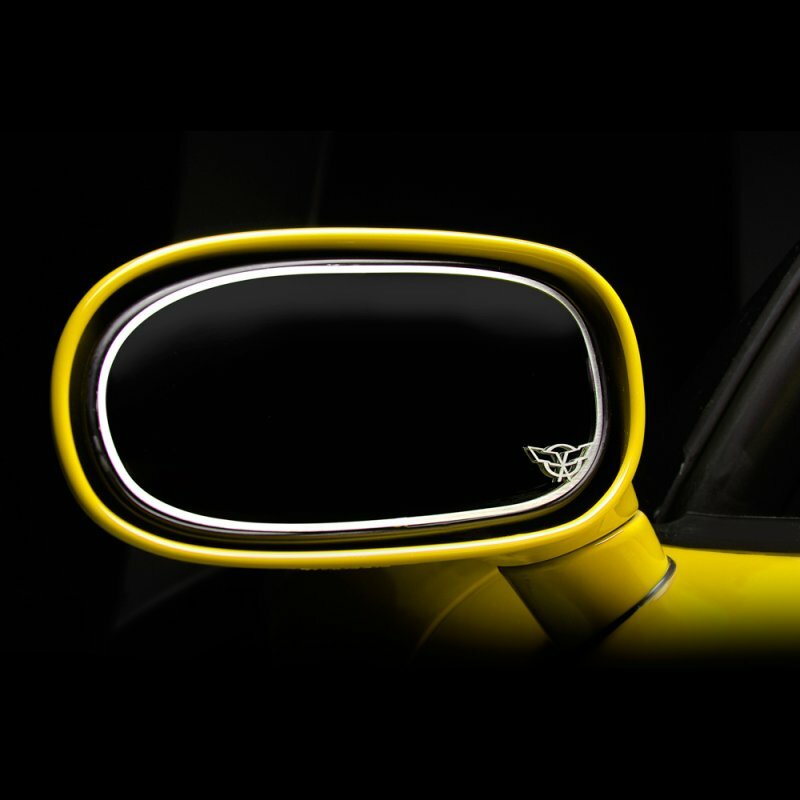 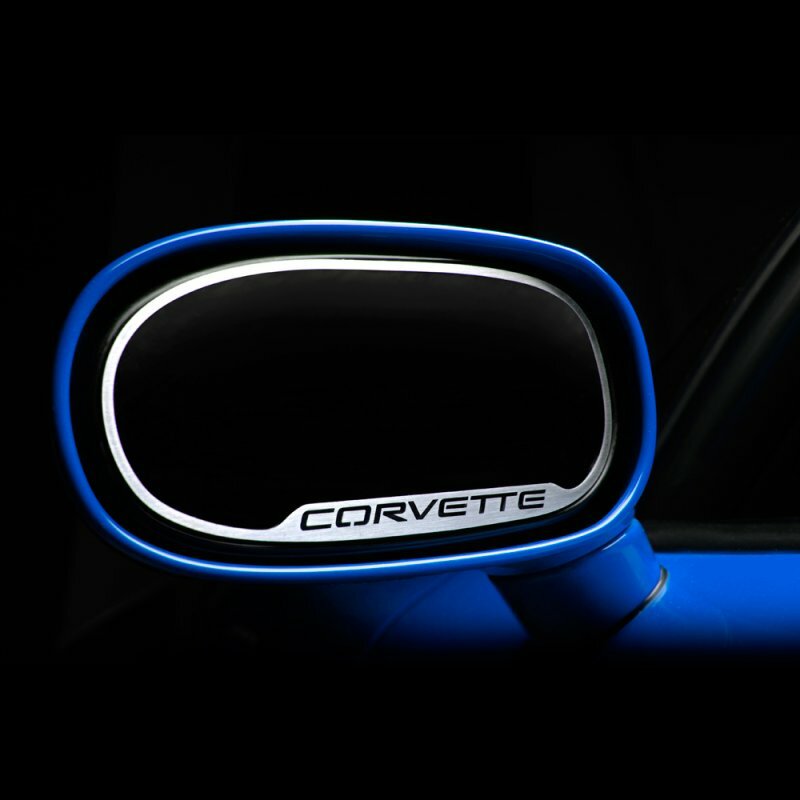 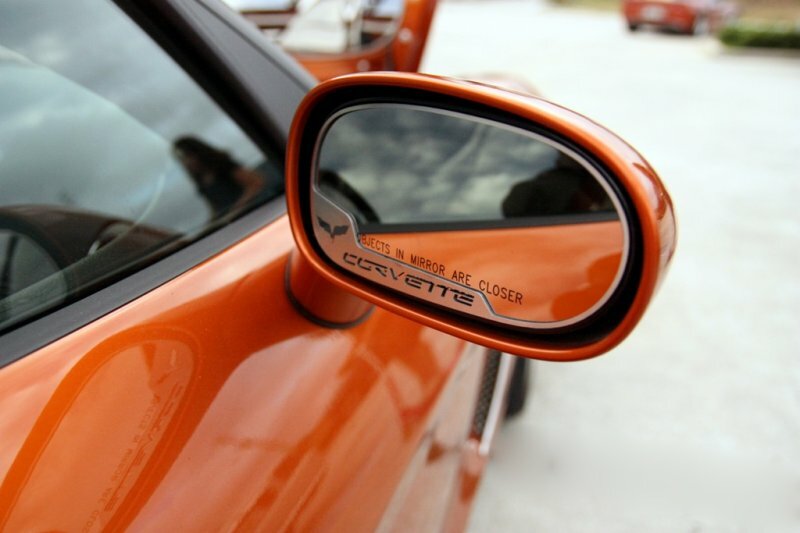 Add a sleek, unique touch of stainless steel to your C5 and C6 Corvette's exterior side mirrors by installing this outside side-view trim. 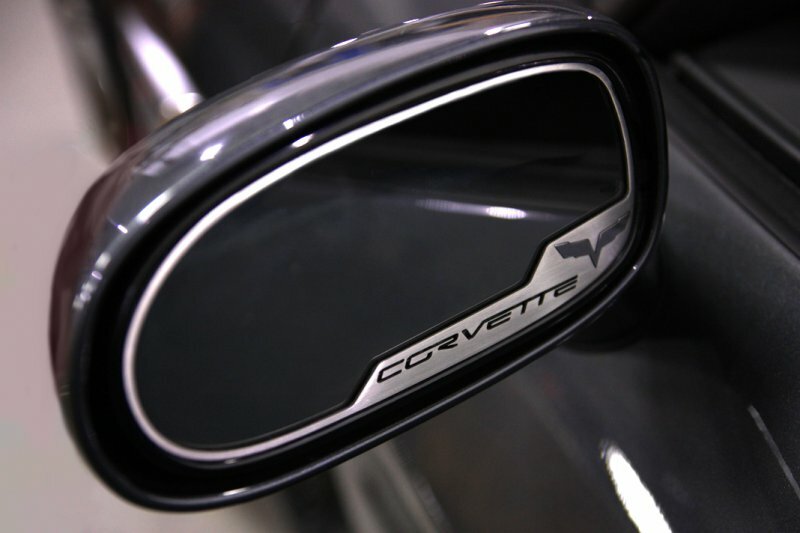 The "Corvette" script is laser cut into the trim itself. 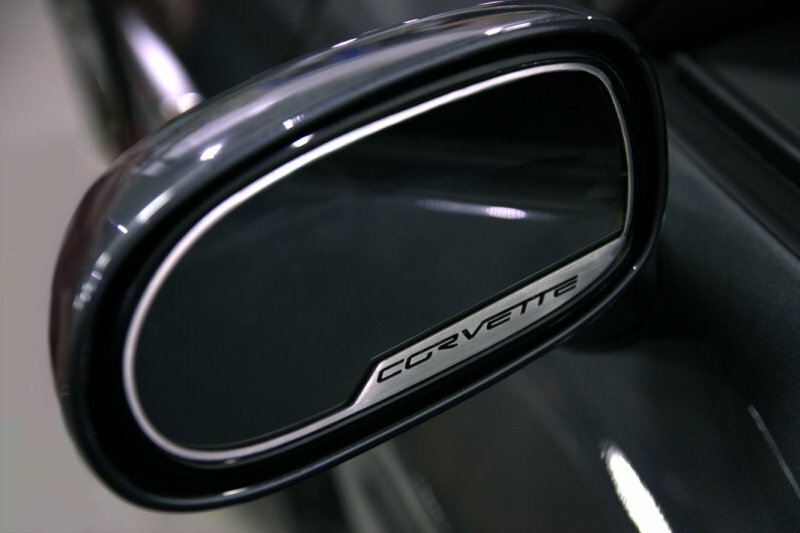 The trim attaches quickly and easily with automotive grade 3M self-adhesive tape, and complete instructions and adhesive promoter are included. 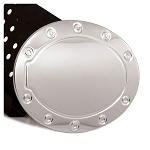 Please use the drop down menu above to make your item selections. 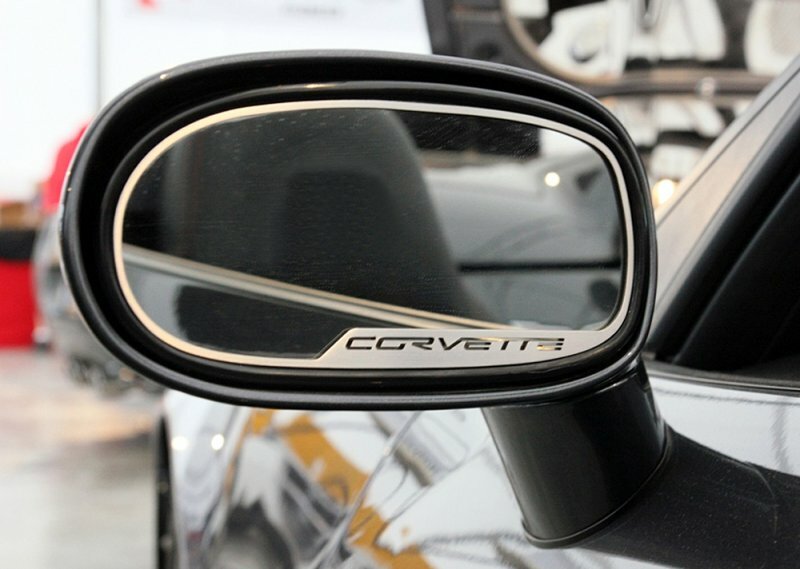 Q: how do i tell the difference if i have a standard mirror or the auto darkening mirrors on my c6?